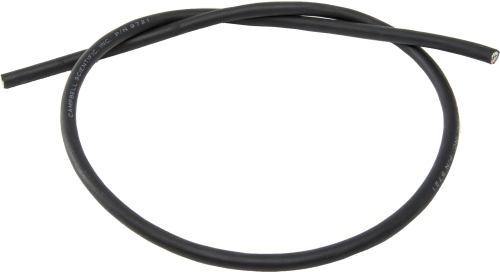 The 9721 is a Santoprene-jacketed cable with three individually shielded twisted-pair conductors. The individual conductors are 24 AWG tinned, soft-annealed copper (7x32 stranded wire) with a solid polypropylene (105C) insulation with a minimum thickness of 0.015 inches. Insulation colors of the twisted pairs are red/black, green/white, and blue/yellow. An aluminum Mylar shield is grounded via a 24 AWG drain wire. Raw cable is cut to length, does not have heat shrink, and has conductors that are not stripped back. The Ordering information lists the per-foot price.